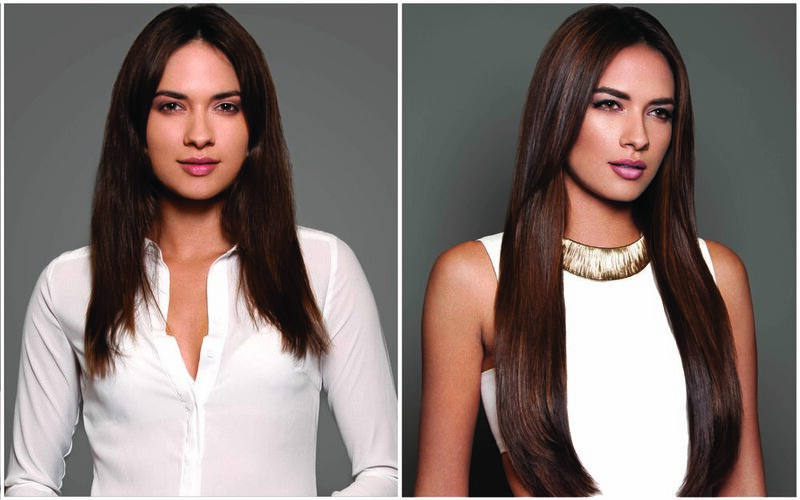 Hairtalk’s ultra-thin adhesive bands are made with premium-quality, human Remy hair. The extensions can be applied to natural hair in less than one hour. The results are customized, seamless, and the comfortable hair extensions are designed with flat attachments that blend flawlessly and invisibly with natural hair. After wearing the extensions for about two months, they can be easily and gently removed with the help of Remove Solvent and then quickly reattached at the root, making them reusable 3 additional times. Allowing you to try new looks and styles seamlessly and easily for up to 6 months! Information on Hairtalk® provided by our very own stylist Lindsey Ryan.